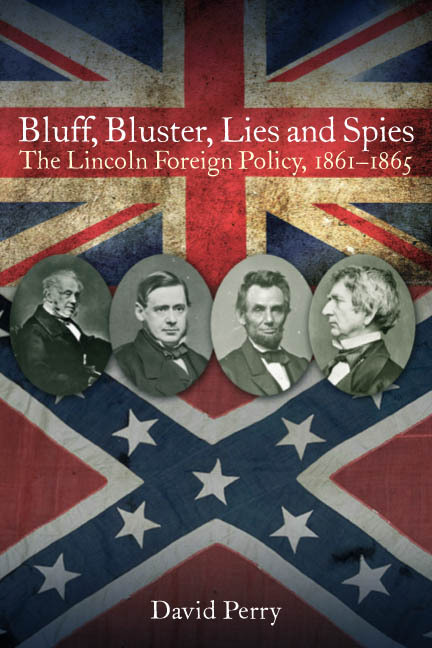 Bluff, Bluster, Lies and Spies: The Lincoln Foreign Policy 1861-1865 ​ is a wild ride through the world of espionage and foreign affairs during the American Civil War. Although the research focuses on the success and failure of the Lincoln State Department under William Henry Seward, Confederate foreign relations and their problems are analyzed as well. In addition to fighting a war for union at home, Lincoln also faced a world war with England, France, Spain and Japan - at the same time. David Perry is a retired Lecturer in American and European history from the University of New Haven. He has written and published prior scholarly journal articles on Lincoln. His research was also selected by National Public Radio in 2009 to represent Lincoln scholars on the anniversary of Abraham Lincoln's birth. His interview was heard nationwide. Dr. Perry will be recording another NPR interview in late May to discuss his book as well as the similarities and differences between Lincoln's foreign policy and that now recommended by Hillary Clinton and Donald Trump.